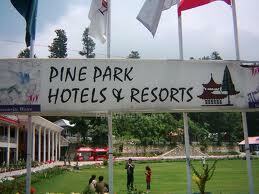 Book Pine Park Hotels and Resorts on cheap rates | iMusafir.pk. Shogran, Naran and Kaghan Valleys district Mansehra Khyber-Pakhtunkhwa. 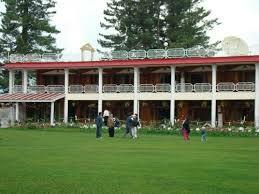 Book your rooms in Pine Park Hotel Shogran and Naran on cheap rates through iMusafir.pk. There are many room categories in hotel varying on your budget range. 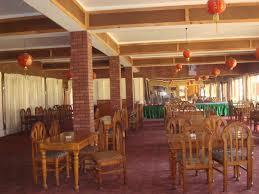 Pine Park Shogran Offers Standard, Luxury, Cottage to its guests. Pine Park Hotels & Resorts are sitting at the peaks of northern areas in Pakistan, at Shogran, Naran and Kaghan Valleys district Mansehra Khyber-Pakhtunkhwa. Pine Park Hotels & Resorts are the pioneers of establishing resorts and restaurants in Shogran over a height of around 8000 feet above the sea level. The facility of more than 2 acres include beautiful lawns, suites, cottages, resorts, restaurants, conference halls, party halls, roof-top restaurants, cafe and luxurious rooms. Pine Park started as a restaurant and hotel industry back in 90’s but the later it extended its facilities to resorts and cottages. It is surrounded with beautiful hills and huge mountains – with a unique attractive lawn surrounded by pines all across. It has unique double bed rooms, reaching up to four beds suites, VIP lounges, executive cottages, and presidential suites.It has a beautiful camping location covered with a bonfire spots and archery yards. Northern areas of Pakistan has beautiful tourism spots like Siri Payee(850 ft.), Makra Peak (11,765 ft.), Saiful Muluk Lake (10,577 ft.), Lake Lulusar (11,200 ft.), Dudipatsar Lake (12,500 ft.) etc. at the heights of heaven, covered with peace, beauty and pleasant weather. From many spots one tourists can please themselves by having a view of 8th highest peak of the world i.e. Nanga Parbat (26,660 ft.).